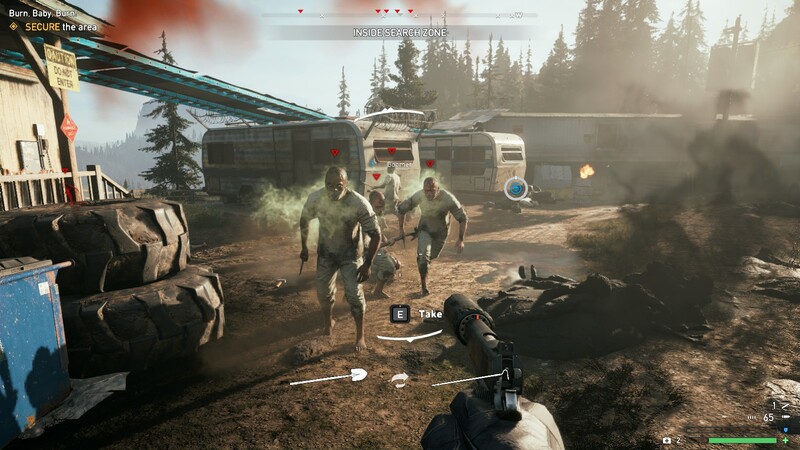 The next game in Ubisoft’s epic shooter series is here, but has it ironed out the flaws in Far Cry? I like to think of myself as an expert on the Far Cry series. I’ve loved the series since Crytek’s first and have reviewed every game since the wonderful Far Cry 3. However, since then it’s felt like Ubisoft have been iterating, not improving. 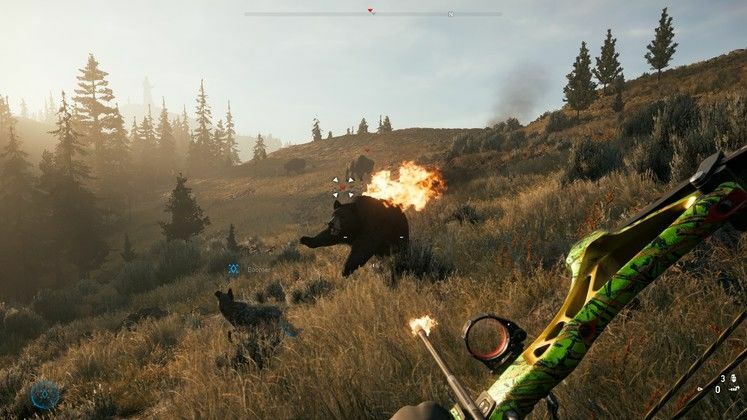 Every Far Cry since 2012 has felt like the same game with only slight changes, which was most apparent in Far Cry Primal where they removed the guns and vehicles but couldn’t stop the gameplay feeling identical. Now after just a short two-year gap, Far Cry 5 is here and we’re hoping Ubisoft have learned some lessons. The good news is that it does feel like a different game. The bad news is that it’s not necessarily a better game. Check out our list of the Best Shooters on PC! 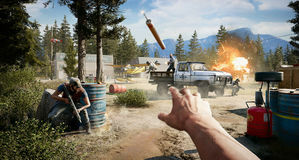 Will Far Cry 5 make the list? 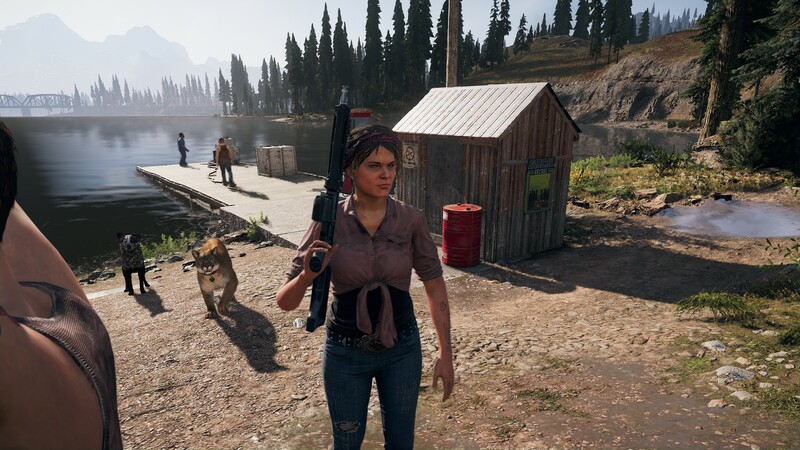 The shocker here is that Far Cry 5 isn’t set in some tropical island, African savannah, Himalayan mountain or the frickin’ stone age - it’s set in the USA, Montana in fact, and yet still manages to feel like a far cry from civilization. A horrible cult called Eden’s Gate, and their leader Joseph Seed, has got a large portion of the population under their thumb - and will respond violently to anyone who does not follow their already quite horrifying ways. As a US Marshal (for the first time, a player-created character) you’ve taken it upon yourself to stop this uprising. No pressure. 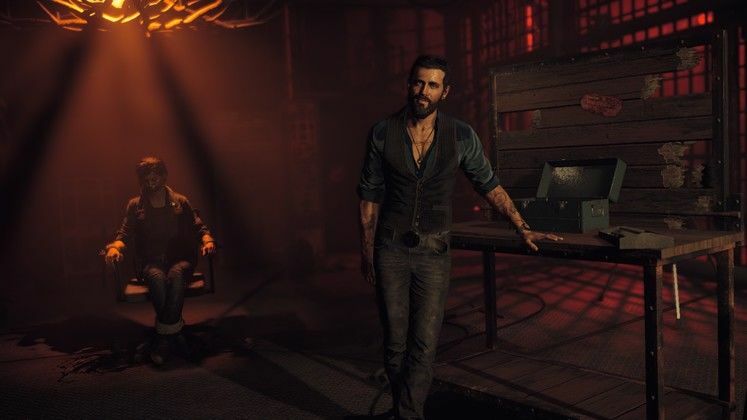 The story is straightforward, and the villains - the Seed family - are the right mixture of different kinds of sadist, and this time none of them are Joker-like (see Vaas and Pagan Min). Unfortunately the serious, and definitely very current, story is undercut by the real silliness that happens in-game. 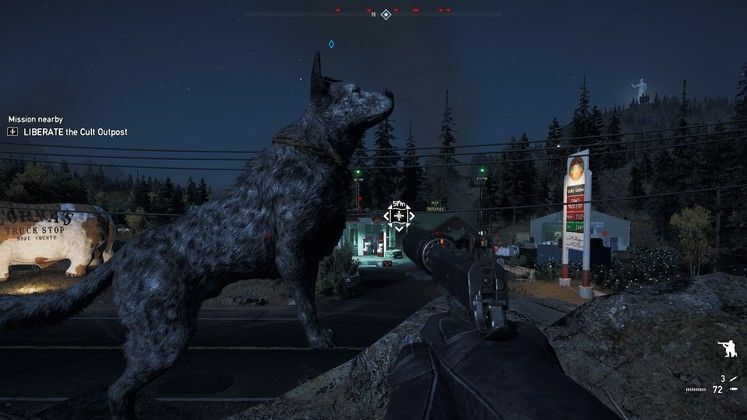 You can have a bear called Cheeseburger as a companion, there’s an alien invasion quest, Blood Dragon is apparently a real thing, and there are ridiculous stunt missions which begin with an eagle bursting through an explosion. You can’t have it both ways, Ubisoft. 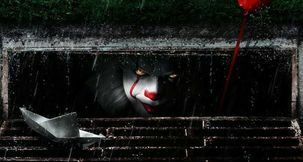 Don’t tell a really serious tale with real-world comparisons and still think you can get away with goofball comedy. It sometimes felt like 80% of the missions were stupid and comedic, when with a story like this it should’ve been 1% - at best. Fortunately we’re not here to make friends, we’re here to shoot some evil folks. There is a lot to do in Far Cry 5. 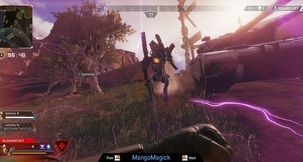 There are action-packed combat encounters regularly and missions absolutely everywhere, and most of those missions are good fun. Very rarely is the goal just to go somewhere and shoot something, there’s usually something interesting or a fun twist - such as setting a roadblock to take on a tank, hopping in a plane to bomb outposts, defending a location, or even solving a movement puzzle. 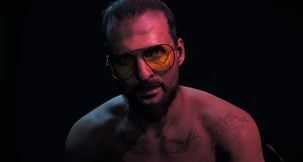 Far Cry 5 absolutely does its best to keep the player’s interest, even if those missions are often at odds with the dark central story. Unfortunately, it’s all rather too much. 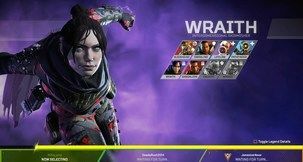 While Ubisoft has toned down the pointless collectables, the maps covered in icons, and removed the mandatory hunting/crafting that got so tiring in Far Cry 3, 4 and Primal, the publisher has still not learned that less is more. For one, there are far too many items. There are a whole mess of guns with a lot of customization options, and it’s a little confusing as to whether one gun is better than another - although the regular guns are awful, which is worse. Usable items are worse though - they’re a whole different screen on the weapons wheel and I never used a single one of them. There’s also a staggering nine throwable items, ten if you include rocks and melee weapons (why are there melee weapons?! ), and you won’t use most. Why are there grenades and dynamite, for example? Worse, while I appreciate always keeping things exciting Far Cry 5 goes overboard so the player never has a moment’s peace. There is a constant swarm of attacks or things happening nearby, so it’s hard to get anything done. I had a quest 500m away, a few seconds by car (which I had), and on the way I encountered an enemy jeep, a prison van, a roadside hostage situation, a cult roadblock - which was crashed into by a supply van, a cult VIP, a battle between cult and resistance, a guy with a rocket launcher, a jeep chasing a car, a car chasing a tractor, and finally a plane dropped a bomb on me and blew me up just as I arrived at my destination. I’m trying not to be too down on Far Cry 5. 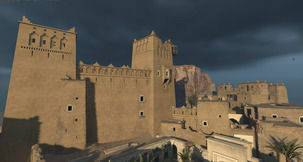 The missions are fun, and popping in to have a quick blast and blow off some steam is great. The companion system in particular is excellent and really adds to the game, so much so I hunted down potential companions whenever I could. I never did not have fun with it and anyone who buys it will probably get their money’s worth. And yet, I can’t help complaining about it because stupid things kept stopping my enjoyment from going further, if not killing the fun altogether. Our system is an AMD FX-8300 Six-Core Processor, 16 Gb RAM, Nvidia GTX 1050 Ti 4Gb, and Windows 10 64-Bit, and we were actually really impressed with how well Far Cry 5 performed. We had every setting up to maximum, and while our resolution was “merely” 1080p we never encountered any slowdown whatsoever, and loading times were low too. And this was occasionally with loads of programs in the background too, including resource-hog Google Chrome. Impressive. We did however encounter a near-ridiculous amount of bugs though. Granted a lot of these continue to be fixed as Ubisoft roll out patches, and none were gamebreaking barring co-op (see below), but we did encounter disappearing enemies, characters getting caught in objects, floating trees, subtitles not turning off, quests not progressing (usually thanks to an NPC getting stuck), and that one time we fell through the world after jumping in a pool. We also don’t like how the controls seem to utilise the entire keyboard - this isn’t ARMA guys, when that happens you need to start simplifying. I mean, do we really need the option to throw a can out of a car window? Before we go, a word on co-op. Myself and fellow GameWatcher Marcello Perricone ventured in to Hope County a few times and had a good play with Far Cry 5’s campaign in co-op. The first thing we discovered was that the campaign was completely ill-suited to co-op. Having to sit for ages for a mission giver to finish describing a mission to us does not make for a good experience, and that’s for starters. We try to go off-script in missions, or give up, we have to restart. Several times mission givers would get stuck, or we would get stuck, or we’d lose connection, or the game would crash altogether. And yet when we weren’t doing missions and were just messing about, we’d have a lot of fun. Like when we tried to punch every Resistance member in a base and fled in a car with them chasing us like something out of Dukes of Hazzard. I don’t think I’ve ever laughed so hard in a videogame like when a mission giver was talking for too long and I just saw this shovel enter the corner of my screen and connect perfectly with the man’s face. Driving through Hope County causing havoc and discovering things is fun in co-op - trying to actually do anything isn’t. Oh, and only one of you gets any credit for anything accomplished. Far Cry 5 is lots of good fun that’ll have you entertained for a long time - and in that it lives up the series. The shooting never stops being entertaining and there’s a lot of game here, with many options on how to do things, and it at least feels different enough from previous games to be a worthy sequel - unlike Far Cry 4 and Primal. So in that it’s a success and we can’t imagine anyone being truly disappointed in Far Cry 5. The problem is that it’s also not a runaway success, with a lot of problems that drag the score and player enjoyment down. 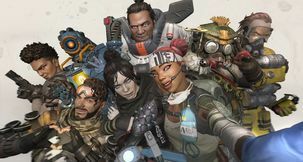 The story and tone is all over the place, there is way too much going on at any one moment, co-op is a mess, cutscenes and mission starts take too long, stealth is near-impossible, capture missions are terrible, all the basic weapons are awful, there are too many throwables, flying is boring, and the less said about the ending the better. 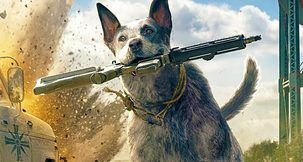 You’ll get a lot of enjoyment out of Far Cry 5, but we don’t think anyone will go away thinking it’s the best Far Cry game. Because it’s not. The fun things to find, from the IT references, to the Bigfoot quest, to the haunted hotel, to the filming of Blood Dragon 3 which uses the Blood Dragon Easter Egg from Far Cry Primal as a movie prop.